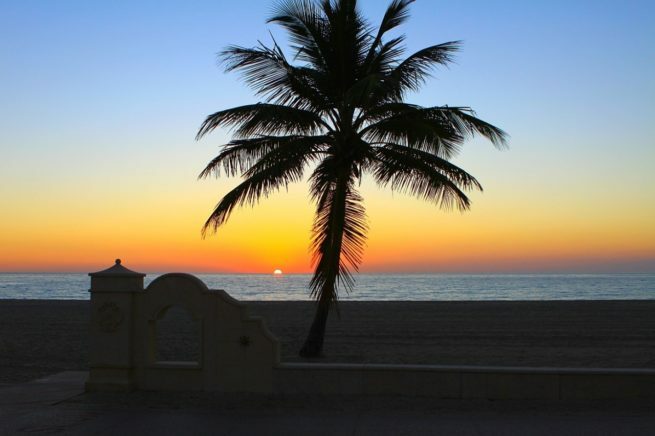 Charter a private flight to Ft. Lauderdale, home to beautiful beaches and fantastic weather year-round. Whether flying private for business based in Broward or Dade County, or leisure at one of the beautiful luxury resorts, we can help arrange the right aircraft and flight itinerary that best suit your needs. Fort Lauderdale Jet Charter believes in providing private flyers with a one-on-one consultative service experience that exceeds every expectation. We understand that your time, privacy, flight preferences and most of all, safety, are all extremely important. Our air charter agents are available for you by phone and email 24 hours a day, 7 days a week. When using our private aviation service, you can expect quick response times and an easy, hassle-free booking process. Request a quote or call us to arrange your private flight to Fort Lauderdale, Florida. With more millionaires per person than almost anywhere in the United States, Ft. Lauderdale has plenty to offer to private jet travelers. The hotels surrounding downtown often cater to the deeply entrenched yachting community that thrives there. Built around private marinas, with bars right on the intracoastal that you can dock at, these hotels will leave very few wanting in the way of amenities and diversions. With hotels like B Ocean, The Atlantic, and Alhambra Beach Resort, the city is set up as a maritime playground with loads of luxury options for private jet travelers. Click here and take a look at some more options for your stay. Once a Spring Break mecca for traveling twenty-somethings, Ft. Lauderdale’s enormous parties and alcohol fueled debauchery has given way to a more relaxed, residential, and refined way of life. This means that private jet travelers can have the city however they like it. Stop by the world famous Elbo Room for cheap drinks in a lively atmosphere, or head over to the busy yet picturesque waterfront and toss back oysters and cocktails with the yachting crowd. During the day head over to the newly developed RiverWalk and check out the popular boutique shops that fill this trendy and sequestered waterfront strip. You’ll see yachts leisurely floating by while families bask in the sunlight and wonder where they’ll have their lunch. Click here and find out even more things for private jet travelers to do in South Florida. People from all over the globe consider South Florida the Yachting Capital of the world. There are thousands of motor yachts, mega-yachts, and sailboats docked at local yachting facilities & marinas. Whether you own a yacht or looking to charter, we can arrange your air charter flight to a local private airport. If you live locally or are already in town for business or vacation and prefer direct transport by helicopter charter, this can be arranged in as little as 6 hours. Click here to see some options of specific yacht bars, clubs, events and other yacht culture related things. Ft. Lauderdale’s beautiful landscapes bring golfers from all over just to play a round on their favorite course. Some even find it exciting cruising above the courses in a private jet or helicopter scoping out the greens and fairways. Golf is so popular in Florida that many celebrity golfers even call it home. Professionals like Tiger Woods, Rory Mcllroy, Jack Nicklaus, Keegan Bradley, Rickie Fowler, Dusin Johnson, Camilo Villegas, Steve Marino, and Luke Donald. Many courses in Florida are easily accessible through local airports. Fly using private jet service into West Palm Beach Airport, Fort Lauderdale Airport, Miami International Airport; or one of the local executive airports for your next golf outing. Click here to see our golf course recommendations on the following page. Request a Quote or give us a call at 1-888-987-5387 to speak with one of our Fort Lauderdale Private Jet Charter agents for your next luxury vacation, business trip, or special event.